Shares of Bristol-Myers Squibb Co (NYSE: BMY) are down about 1 percent on Monday afternoon, as the company prepares to report its first quarter financial results on Tuesday morning, before the market opens. According to Estimize, experts and the crowd agree on their expectations. The former expect EPS of $0.50 on revenue of $3.839 billion, while the latter project EPS of $0.51 on revenue of $3.86 billion. The company did not provide any guidance for the quarter. The above estimates imply an EPS growth of approximately 10 percent year-over-year and quarter-over-quarter (the company reported EPS of $0.46 in both last year’s first quarter and fourth quarter). It is important to highlight, as well, that earnings have been pretty consistent over 2014, oscillating between $0.45 and $0.48. 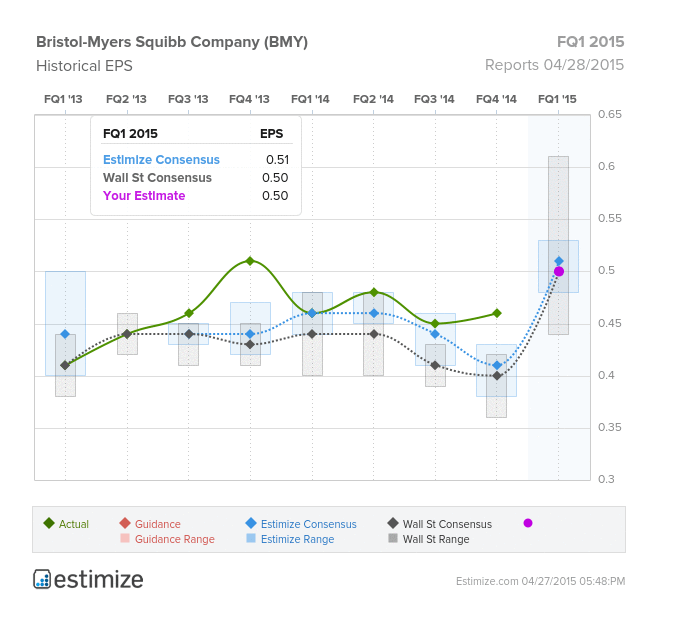 In addition, Estimize allows users to see how estimates have evolved over time. 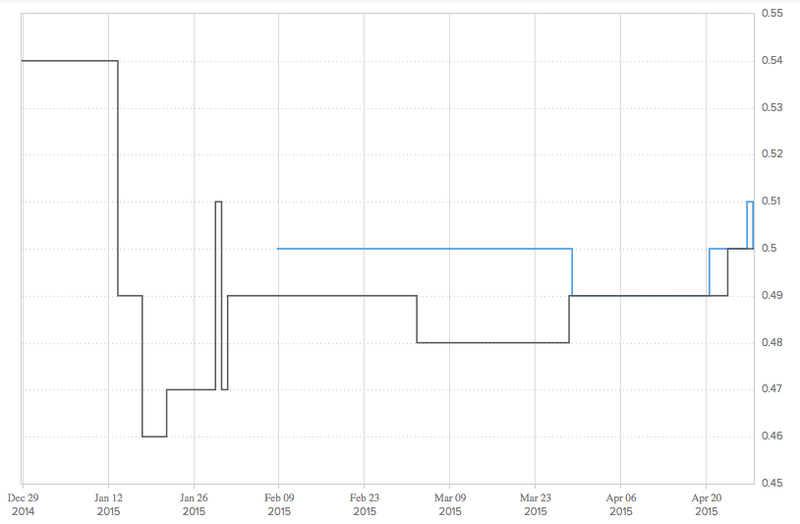 As one can notice from the above graph, projections have been in somewhat of a roller coaster over the quarter, going back and forth, and converging close to the earnings date. In a recent research note, Morgan Stanley provided a preview of major pharmaceutical companies’ first quartet results and listed key events for the second quarter. The firm expects EPS of $0.50, in line with consensus.